Swindon ace Jamie Cox smashed Ferenc Albert to make the first defence of his WBO European Super-Middleweight title and make it a hat-trick of first round knockouts. Unbeaten Southpaw Cox destroyed Hungarian in the opening rounds, dropping him with an explosive right hook which he got up from at the count of eight from referee Mickey Vann, but was then flattened moments later with another blockbuster right hook, with Vann stopping the count after two. It was the third first-round win in a row with power-house Cox flattening Alistair Warren in February, then Blas Miguel Martinez in July and now Albert, who couldn’t stand up to the 29-year-old’s firepower. Afterwards Cox roared that he’s the number one 168 pound fighter in the country and that the public are the ones being fooled by the winner out of Callum Smith and Rocky Fielding, who meet for the Vacant British title in Liverpool tonight. 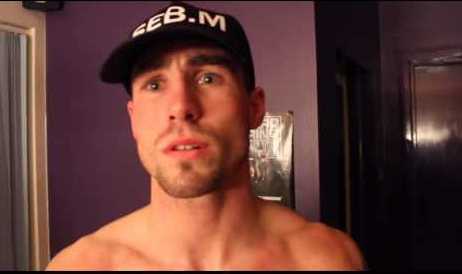 “That’s a hat-trick of first round knockouts, no one can doubt my power at this weight,” Said Cox.